“We should be rich but not wasteful.” These very words by Sunita Narain, director general of Centre for Science and Environment (CSE), set the tempo at the launch of ‘Not In My Backyard’, a book which she has co-authored along with Swati Singh Sambyal, programme officer (Environmental Governance) at CSE. 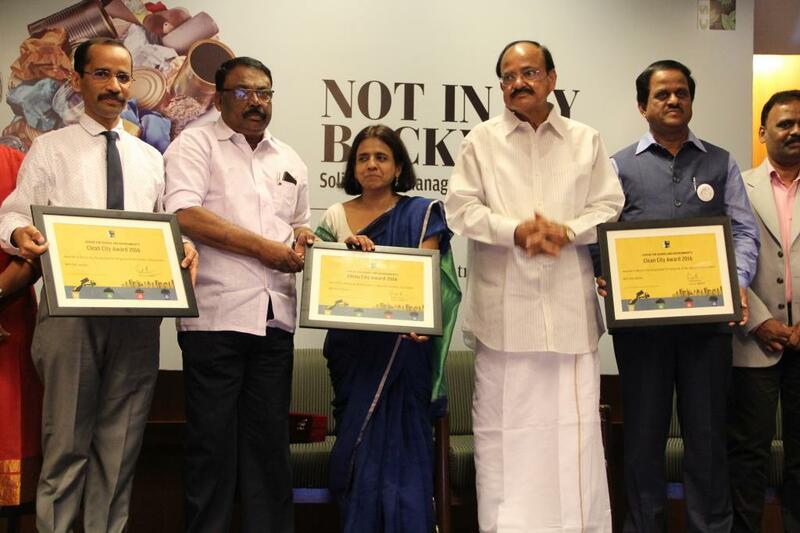 Union Minister of Urban Development, Housing & Urban Poverty Alleviation, M Venkaiah Naidu was present at the event. Narain urged municipalities across the country to place segregation at the heart of waste management system. Referring to the “perverse incentive” to bring more quantities of waste to the dump yards, she said the Centre should change this incentive mechanism to turn people in favour of waste segregations at source. She also pointed out that installing emission control technologies in waste-to-energy plants is not an alternative to waste segregation. “The poor are getting politically aware and they have started to say ‘Not In My Backyard’. Protest against waste disposal is growing and waste disposal schemes are being contested,” said Narain, indicating a silver lining. She, however, regretted that the urban people “don't even recognise the contribution of informal sector towards waste management”, making it clear that “no government can match the scale of work done by these informal waste collectors in India. 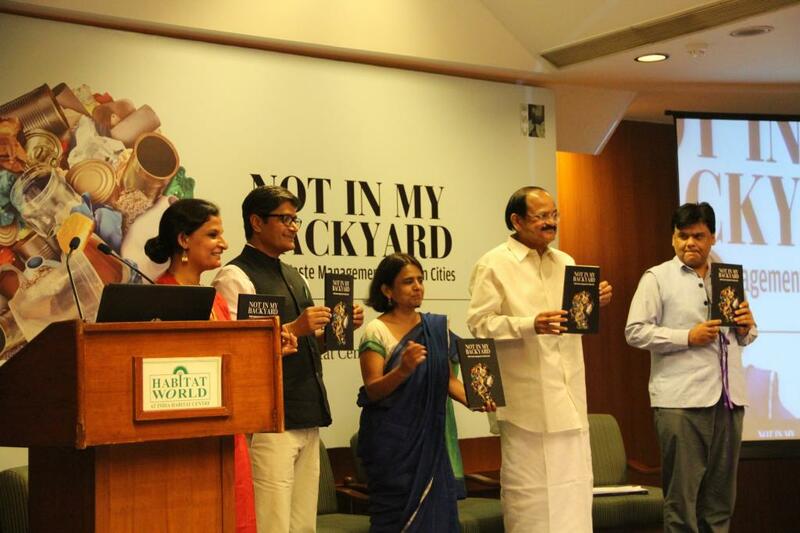 Talking about the book, the minister observed, "I am sure Not In My Backyard will motivate people to take up the responsibility of waste management. I have asked my team to send a copy of this book to all the municipal commissioners so that they can think their way ahead.” He also asked municipal commissioners to “Perform, Reform and Transform” and start collecting waste tax from people. I undertake in my society total waste segregation and composting of all wet kitchen and biodegradable waste. We are a housing society of 236 flats and our dry waste is further micros segregated. I wish to know how the following waste is to be handled : Ladies sanitary pads, diapers for babies and elders, packaging used for chips, namkeen etc, travellers trolley bags. We collect all thermocolel and use the same as a filler in the building's expansion joints. I am informed that many a countries in Europe have banned the use of thermocole. Why are we allowing it ?